Disclosure: Wisdom Tales Press gave me a copy of this product free of charge. All opinions in my review are my own and I did not receive any other compensation. As in all my reviews I am providing links for your ease, but receive no compensation. Recently we decided to switch churches. As a family we are going to an Episcopal Church now. Steve is Catholic and I was raised in a United Church of Christ church and have always gone to one. We found the Episcopal Church to be a combination of the two and fit us all. We love being able to go to one church as a family and go almost every week together. Not having grown up in a church that focuses on the saints I do not know much about them. Now that we go to a church that focuses on them more I would like to learn more about them and teach Hazel more about them. 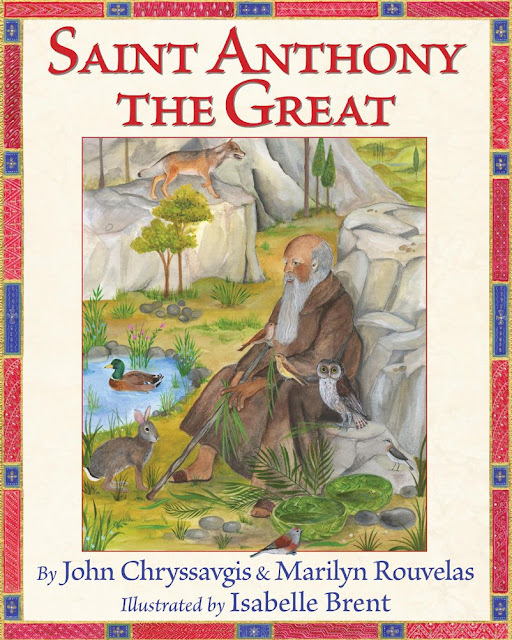 I was happy to see this new book at Wisdom Tales Press, Saint Anthony the Great by John Chryssavgis and Mailyn Rouvelas and illustrated by Isabelle Brent. There are more than one Saint Anthonys. The one Steven knows is St. Anthony of Padua or the Saint of Lost Things. Saint Anthony the Great was born and lived in Egypt. At a young age he and his sister lost their parents. After hearing the scriptures about giving away everything you own to the poor for a happy life, Anthony did just that. He sold everything and gave the money to people to raise his sister and to help the poor. Then he went to the desert and lived in the peace and quiet. He fought the devil several times. People started to follow him and seek his advice. He found he needed time to be alone and lived in solitude for a good amount of time. His friends brought him food and water. Then his friends broke down the door and Anthony said he was no longer afraid since he loved God. People followed Anthony into the desert and set up tents around his cave. Anthony performed miracles like helping a blind man see and a young woman who could not walk, walk. He finally found a place to live where people could be around him and then he could go to a cave to be alone. He died in that cave at the age of 105. 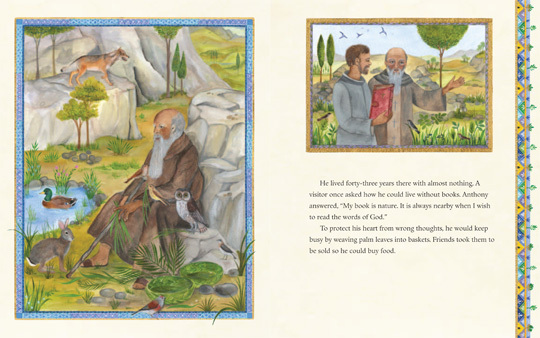 This book tells the life of St. Anthony the Great and has beautiful illustrations. One can see why he was named a saint and could see the goodness he had in him in this story. 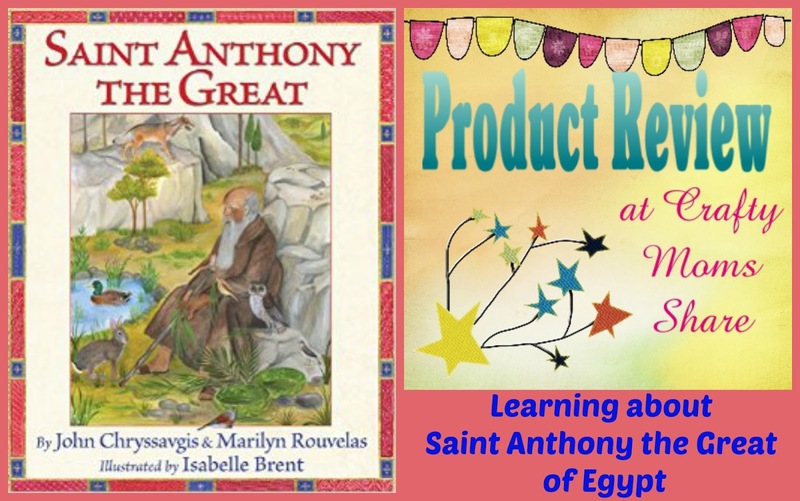 It is a wonderful tale and is the perfect beginning to our exploration of the saints! I hope you will check it out.